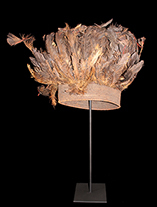 "Hats Off!" 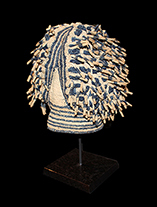 - Exhibition Celebrating 25 years! 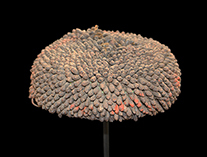 To celebrate our 25 years as a gallery in La Jolla, we are proud to present the limited-exhibition, "HATS OFF!" 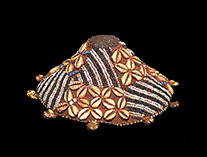 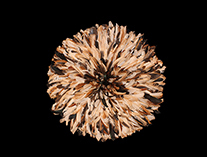 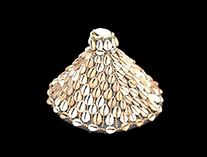 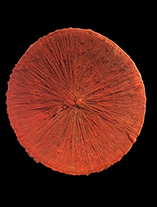 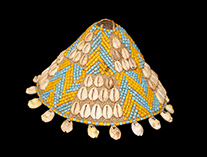 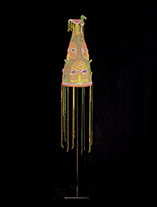 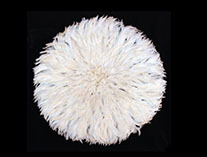 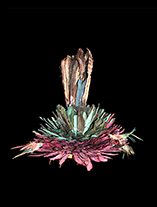 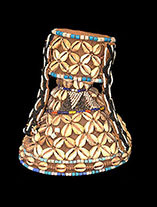 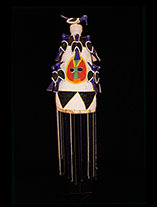 This collection will feature an assortment of exotic African, Asian, Oceanic and Native American hats and headdresses. 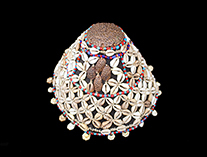 – August 2, 2014 – Africa and Beyond™, the La Jolla, California, African art gallery, is celebrating 25 years of showcasing high-quality ethnographic arts and contemporary fair-trade crafts as well as unique jewelry from around the world. 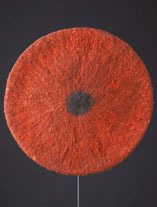 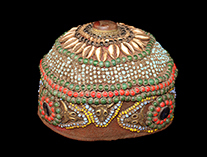 To mark the milestone, the gallery is presenting the exhibit, “Hats Off,” opening August 2, 2014 from 7:00 - 9:30 p.m. 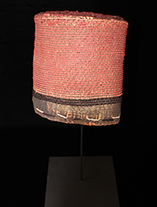 The exhibit will run through October 19th, 2014. 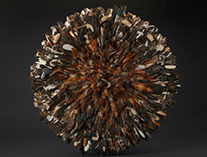 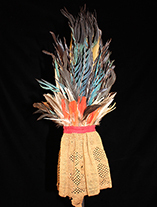 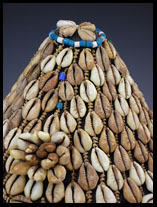 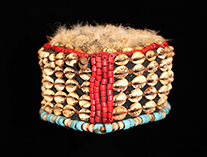 Featuring an array of exotic African, Asian, Oceanic and Native American hats and headdresses, this veritable trove of “crowning achievements” is fashioned from colorful beads, basketry, shells, feathers, buttons, and more. 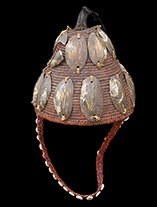 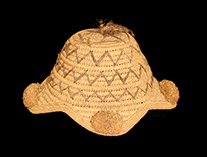 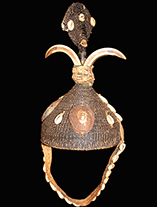 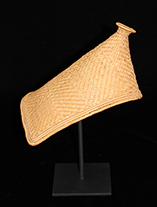 “From the simple woven conical hat worn by a baby to shield him from the sun while carried on his mother’s back to an elaborate beaded crown worn by a Yoruba king, hats have a long and rich tradition whether for function or pure artistry,” said proprietor Ian Allen. 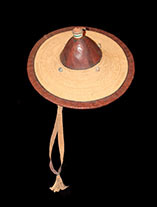 Worn for protection or to make a statement of style, hats communicate much about our identity - how we see ourselves and how we’re perceived by others. 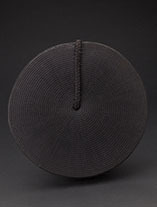 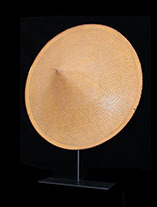 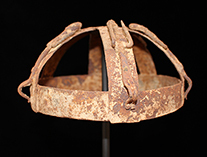 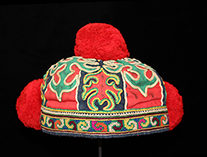 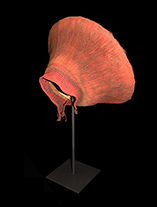 The “Hats Off” exhibit ‘brims’ with creativity and presents the hat in the context of the cycle of life: hats to celebrate or mark a rite of passage—birth, marriage, death; economic status; cultural, political, and religious affiliations; prestige, rank, and power. 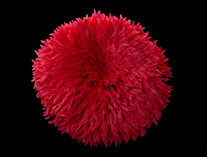 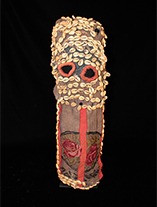 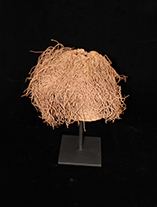 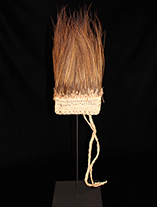 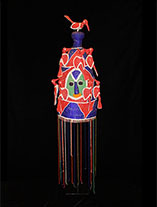 Allen gives the example of the bright red headdress for the Zulu bride, which is woven from the bride’s hair, and her mother’s hair, to symbolize the bond between mother and child. 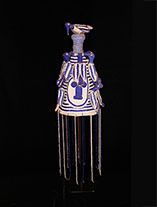 “The designs and decorations all have meaning - to command authority, intimidate an enemy, even attract a mate,” added Allen, who will be giving a lecture at the opening reception. 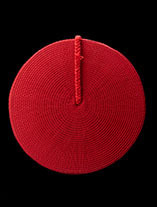 Attendees are encouraged to wear hats to the opening: A prize will be awarded to the hat that truly tops them all!